NOMAR (both offices) are closed on Thursday, March 30, 2017 due to staff working REALTOR® Appreciation Day. The Women's Council of REALTORS – New Orleans Metropolitan Chapter is partnering with Habitat for Humanity to participate in the Women's Build 2017. They need to raise $5,000 to help build a house for Monica Grandpre, and need YOUR help. Monica is a single mother who dreams of becoming a homeowner. To read more about Monica and the Habitat for Humanity Women’s Build, please click here. To donate, click here. Be sure to use the team name WCR. To volunteer for the build on May 13, please email nolawcr@gmail.com. The deadline is March 24. Do you know a REALTOR®, Manager or Affiliate who deserves to be recognized for their hard work this past year? 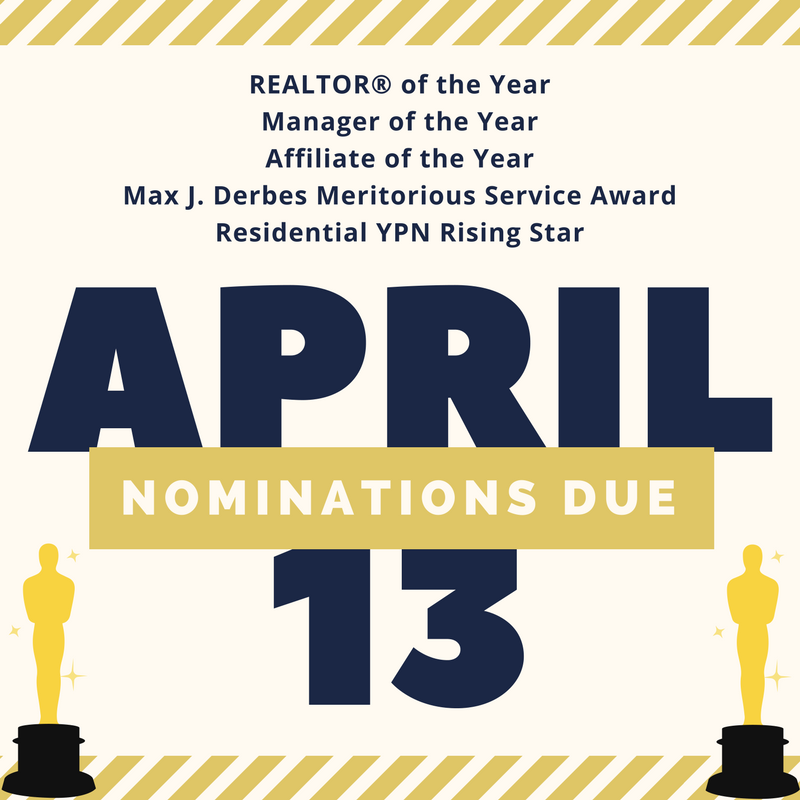 Fill out a nomination form for REALTOR, Manager or Affiliate of the Year to put them in the running! 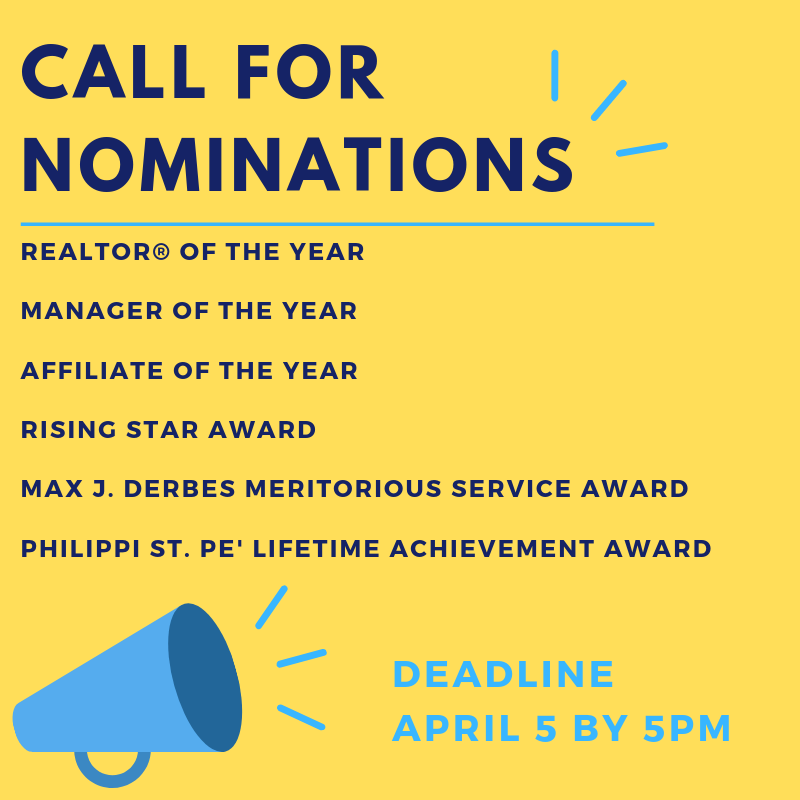 We also have nomination forms available for the Max J. Derbes Meritorious Service Award and the Residential Rising Star Award! The deadline for nominations is Thursday, April 13 at 5 p.m. Click here to see a list of previous winners. Awards will be handed out at the General Membership Luncheon on Thursday, May 25. NOMAR supports the renewal of the millage and sales taxes for Jefferson Parish drainage & recreation, as well as the millage renewal for Jefferson Parish Public Schools. The millage and sales tax renewals are not new taxes and, if passed, would not change existing the property or sales taxes for anyone in Jefferson Parish. To read more about the tax renewals in Jefferson Parish, click here, here, or here. If you have questions, contact NOMAR Governmental Affairs.